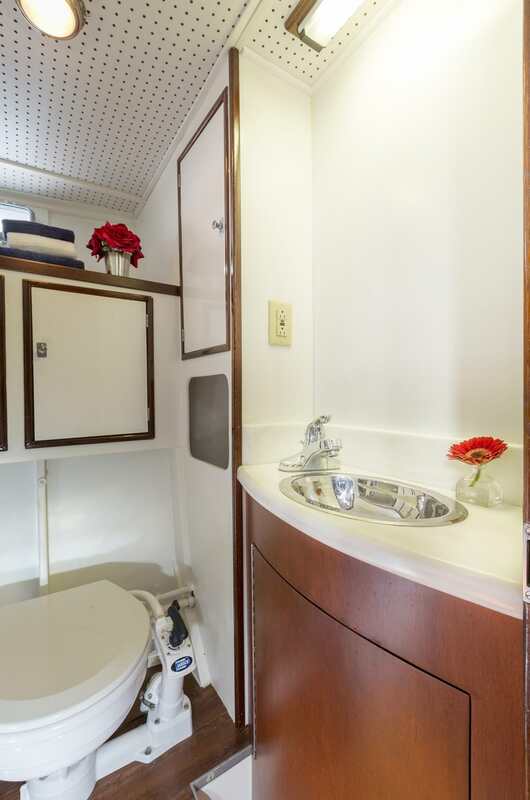 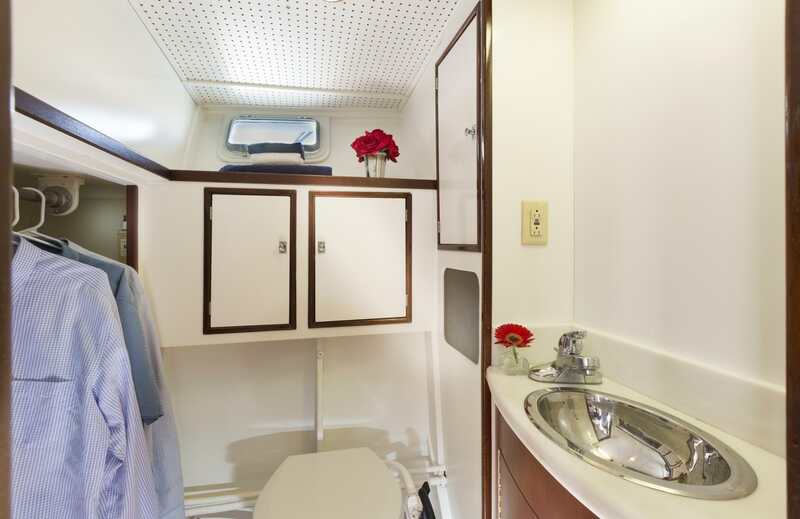 Forward master with V-berth with ensuite bathroom, guest quarters with single bunk berths. 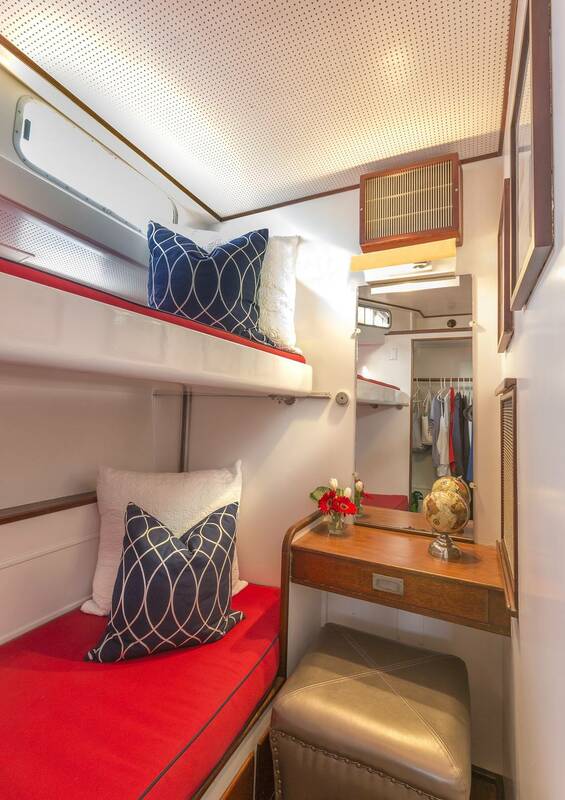 Convertible settee for children. 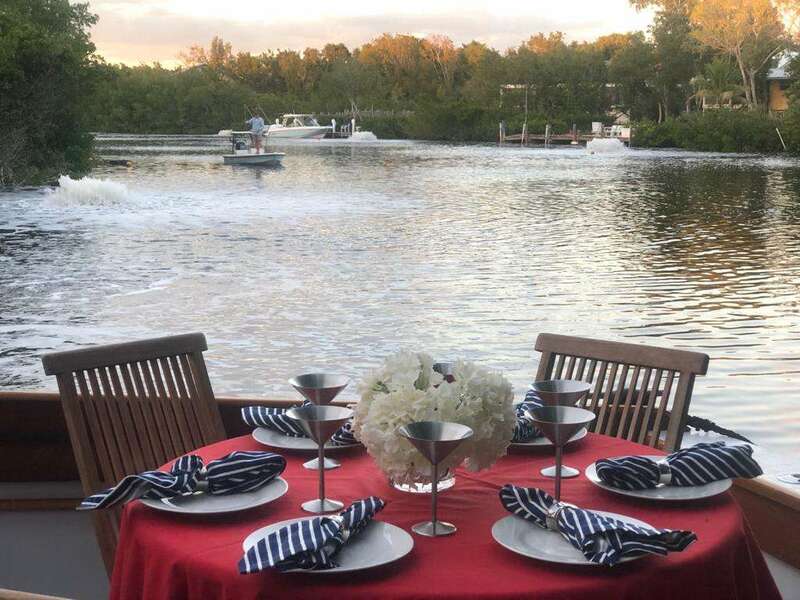 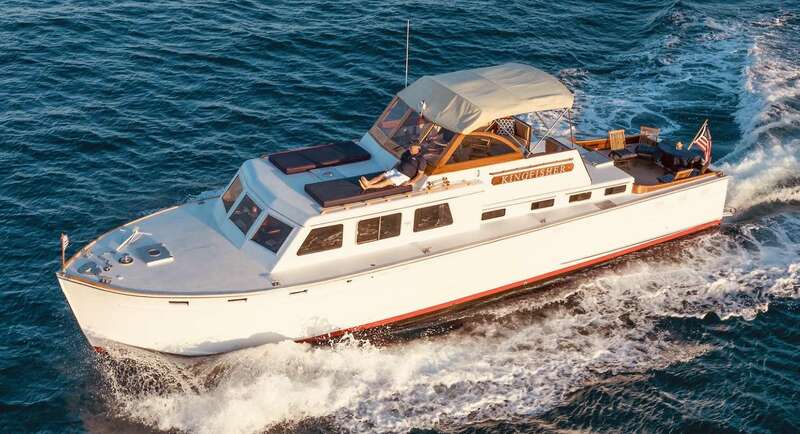 KINGFISHER has a large shaded flybridge with bimini top offering the perfect perch for regatta spectating or just a relaxing cruise. 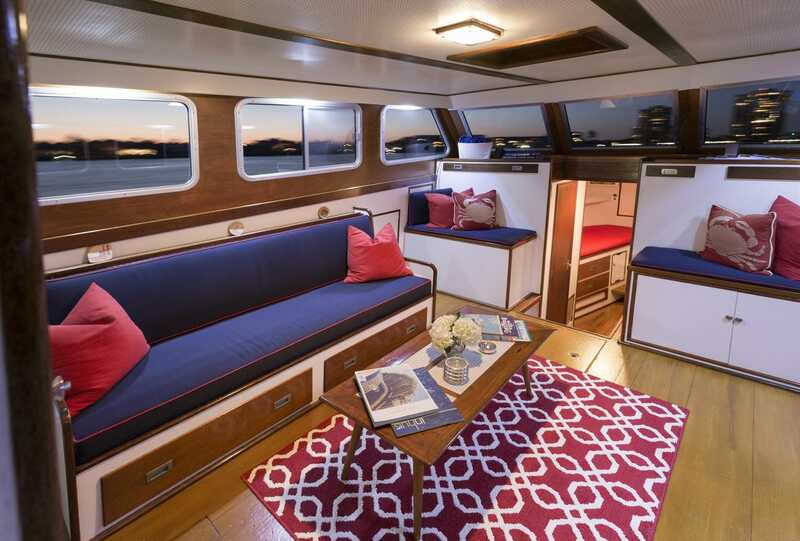 Ideal for entertaining, the roomy salon has a comfortable settee with club chairs and large side windows offering lots of light and great views while cruising or at anchor. 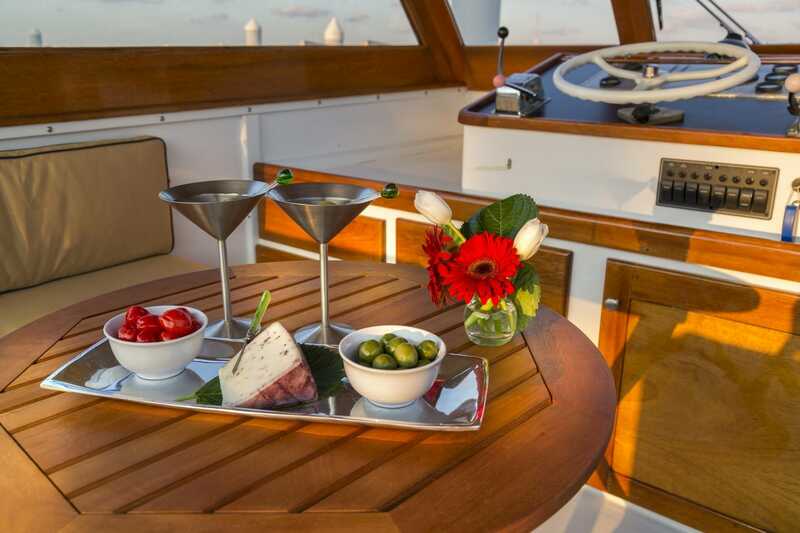 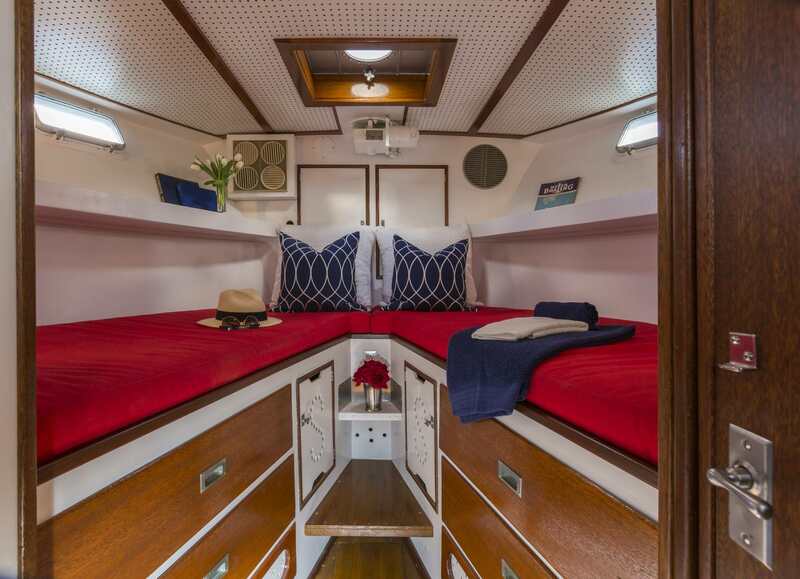 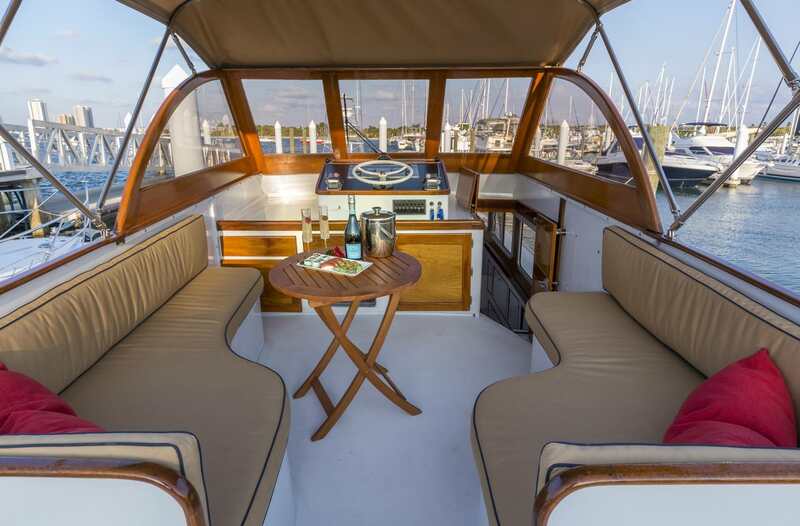 A large raised foredeck offers ample room for a sun lounge for two, while the large aft cockpit can be utilized for fishing / recreation or alfresco dining for four.